Rebecca Leonard has dedicated her legal profession to representing clients in family law matters for more than 20 years. Rebecca is skilled in litigating division of assets, spousal support, custody matters, parenting plans, child support determination, paternity matters, retirement account division, and enforcement of child support and custody matters. Rebecca is a trained mediator and skilled in negotiating and settling matters. Although Rebecca has extensive experience litigating matters, she is very successful assisting her clients in settling conflicts and preventing the emotional toll and costly expense of a litigated trial. Rebecca is licensed to practice law in the State of Missouri, and obtained her J.D. from the University of Missouri at Kansas City in 1994. Rebecca is a registered pharmacist, earning a Bachelor of Science degree in pharmacy from the University of Missouri at Kansas City in 1983. Rebecca is a member of the Pharmacy Foundation Board at the University of Missouri at Kansas City. Rebecca is a member of the American Academy of Matrimonial Lawyers (AAML), a national organization that requires its members to pass national and state legal exams, and provide references from peers and judges for acceptance. Rebecca was the AAML Missouri State Chapter President from 2014 until 2016. 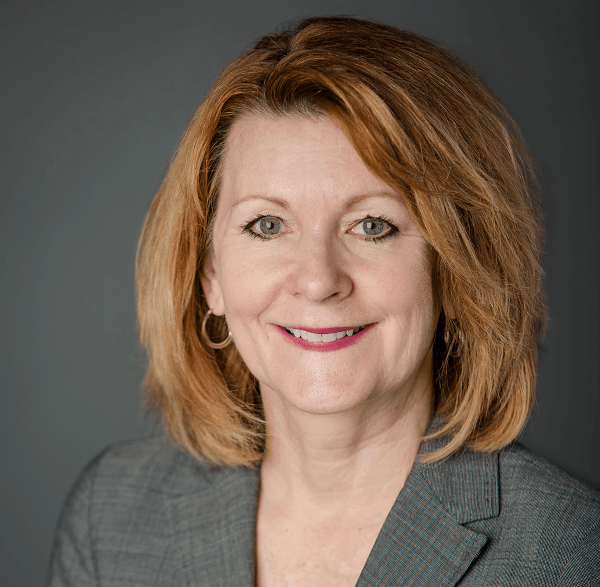 She is a member of the Missouri Bar – Family Law Section; the Kansas City Metropolitan Bar Association; and Eastern Jackson County Bar Association. Rebecca served as a member of Division One Missouri Supreme Court Disciplinary Committee for Region IV for over ten years. Rebecca has been named as a Best Lawyers in America each year since 2011, Missouri Super Lawyers each year since 2008, and Super Lawyers Top 50 Women in Missouri. Rebecca is a frequent speaker on family law matters. Rebecca was previously an associate with Shook, Hardy & Bacon in the pharmaceutical division, an associate with Tyree, Eskew & Roberts, a partner of Kapke Willerth & Leonard LLC; and a partner of Leonard & Finley LLC. It is important to Rebecca that she provides the best legal representation for her clients, and also has a good understanding of each clients’ individual needs to assist them through a difficult time.